Portions of this post originally appeared in an online article by the Asheville Chamber of Commerce of which Appalachian Mountain Adventures Asheville owner, Nicholas Wardwell, is a proud member. At Engaged, we believe we’re doing some pretty amazing things both as individuals and as a team. As diverse as our businesses are, collectively we are united by our core values and beliefs. In fact, right in the heart of our studio is a wall mural that gives testimony to the things we hold in the highest esteem. Community and culture. Strength, love, and togetherness. We relish the journey as much as the destination. For Engaged creative Nicholas Wardwell, these tenets ring true in every sense. 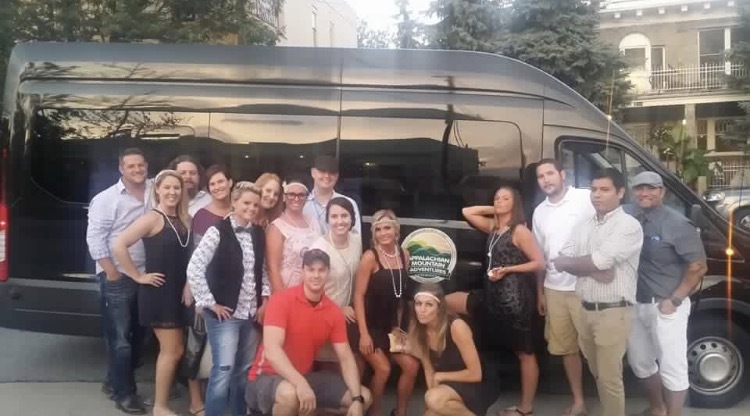 As the owner of transportation service Appalachian Mountain Adventures Asheville, Nicholas founded his company on a desire to connect with the people local to and visiting this beautiful mountain town, and to ferry them along on outings and adventures at key moments of joy in their lives. 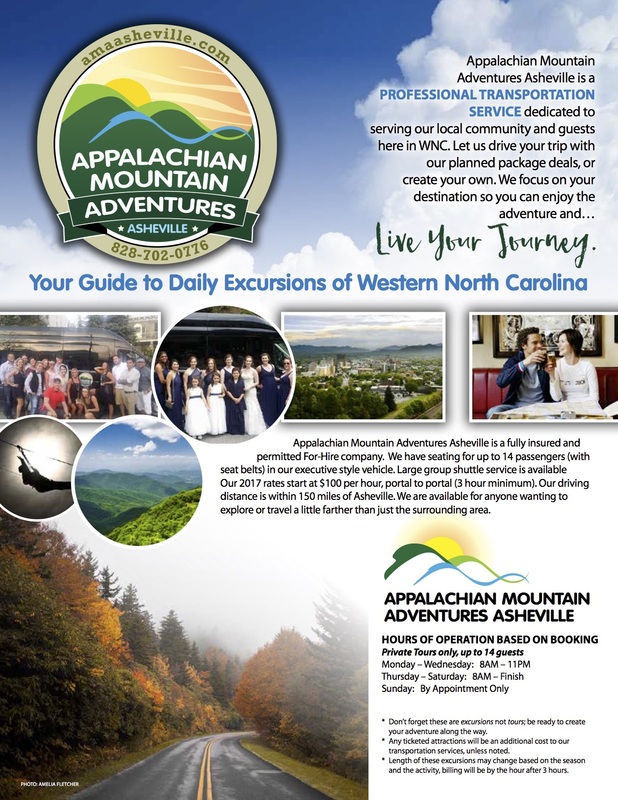 Appalachian Mountain Adventures Asheville was born from a love of a place I call home and a desire to be able to share and connect people to the amazing sights, attractions and activities of Western North Carolina. I am proud of the ability to positively impact other’s lives. From starting from an idea, all the way to operations, everything was built on family, relationships and community. 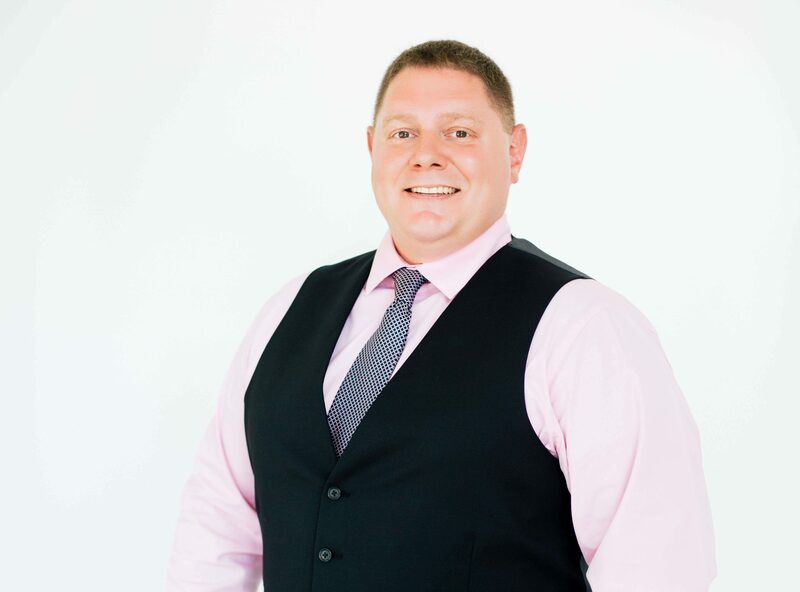 Between his dedication to his guests and his charming, affable nature, it’s no surprise Nicholas has made such an impact on our local community. 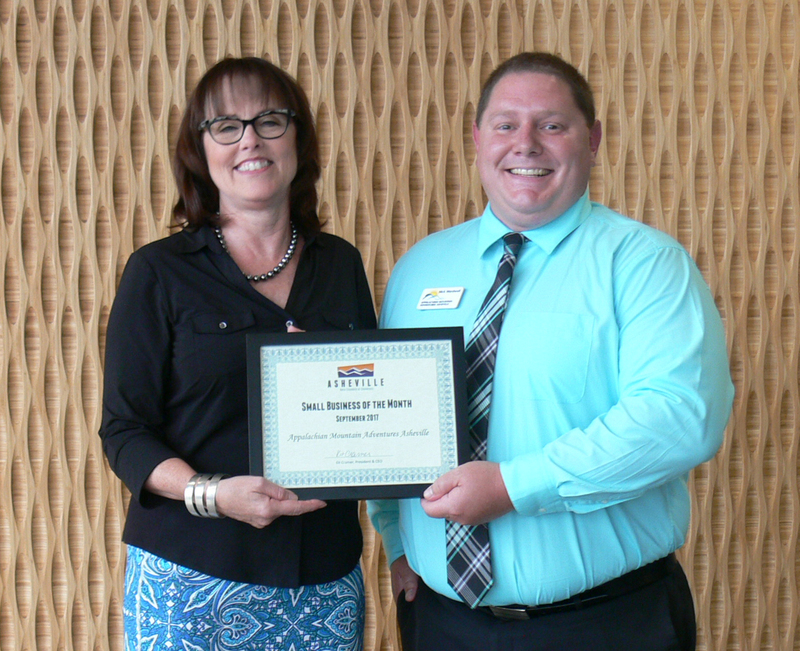 In September, the Asheville Chamber of Commerce honored Appalachian Mountain Adventures Asheville with their Small Business of the Month award. Nicholas doesn’t just talk the talk — he walks the walk. Though his company is not immune to the budgetary constraints that limit many young business, Nicholas uses another valuable resource to give back to his community — his time. Despite a busy schedule and tending to business operations, Nicholas always carves out time for others. He spends a great deal of his personal time volunteering, helping others who are in need, and networking with other local business owners. And, of course, creating new experiences and adventures for his guests. On that note, Appalachian Mountain Adventures Asheville is slated to offer guests a plethora of perks in 2018. Their new website, currently under development, will be launching soon, and with it a new menu of added services. Nicholas will be building on his current offering of pre-planned packaged deals, as well as expanding on the customizable trips guests can create for themselves. Although Appalachian Mountain Adventures Asheville is looking forward to offering guests so many new features and experiences, Nicholas is focused on maintaining the high level of customer relations that’s become synonymous with his business, ensuring guests enjoy every moment of their experience from the beginning on through to their final destination. Though 2018 stands to bring a lot of growth to Appalachian Mountain Adventures Asheville, Nicholas is adamant that his guests, colleagues, and loved ones know how very grateful he is for their part in bringing his dream to life. Nicholas Wardwell has been a member of the greater Asheville community for 25 years. 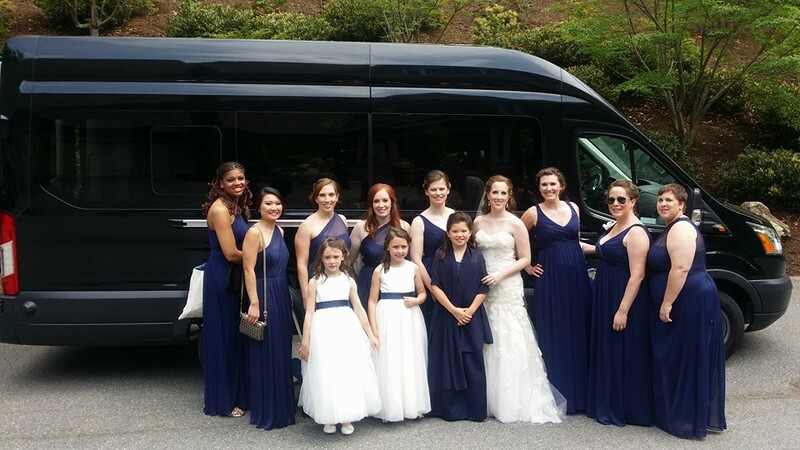 Nicholas founded Appalachian Mountain Adventures Asheville as a professional transportation service dedicated to serving the local community and visitors to WNC. 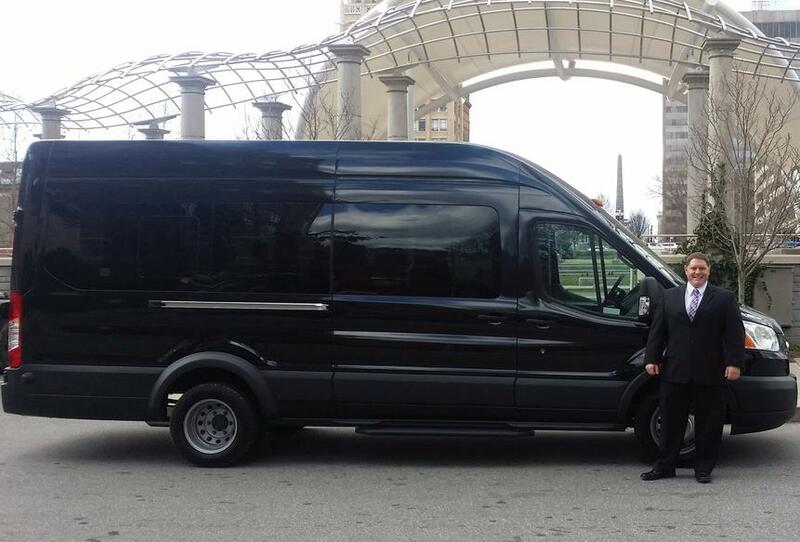 Nicholas has the pleasure of creating a genuine experience taking care of transportation needs, and connecting guests with some of the best adventures and events that they’ll remember for a lifetime. 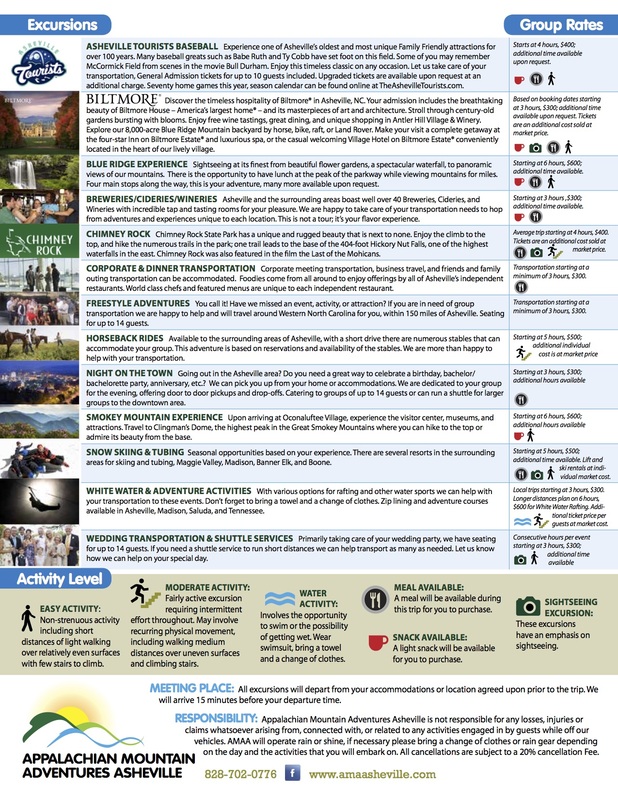 Let Appalachian Mountain Adventures Asheville do the driving by selecting one of the many planned package deals, or create a package. Appalachian Mountain Adventures focuses on the destination so the guests can enjoy the adventures/events and live the journey. To learn more about Appalachian Mountain Adventures or to contact Nicholas, please refer to his profile on our Creative Team page.